Proof of Performance with a securely stored digital record, available 24x7. Photo tags enable easy file naming. GPS Location stored for each site visit and photo. Know exactly where all your assets are. 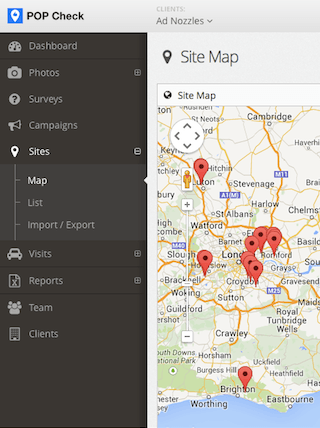 Control who can add photos, campaigns, sites, visits and users. Provide ‘read-only’ access to let your clients view their campaigns. 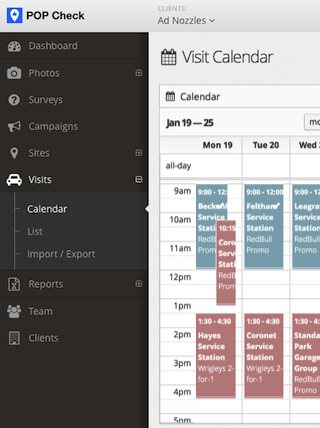 POP Check makes managing your Field Marketing team a breeze. 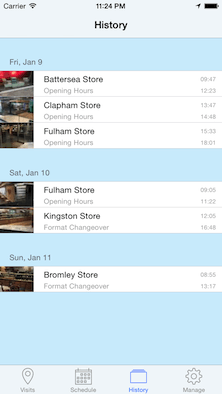 Our iPhone and Android apps are free to download onto your mobile phone. 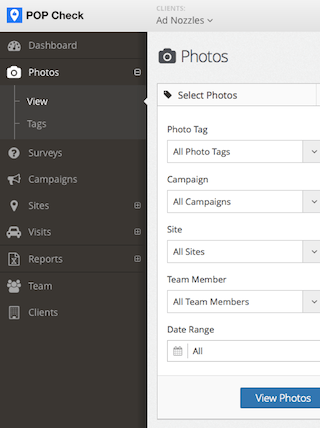 Once downloaded your team login and get started tracking Campaigns. Installers and Merchandisers take photos and on site. These are automatically tagged with the site, campaign, person, date and time. Photos are immediately available for Head Office to access. 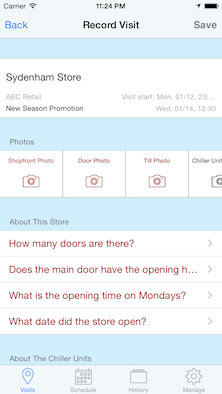 What's more, the app allows the on-site team to capture additional Survey information about the Campaign as well as information about the site itself - all uploaded in real time. 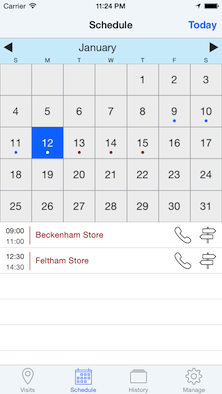 Head Office teams use our powerful web-based management tool to setup Visits and track the on-site team activity. 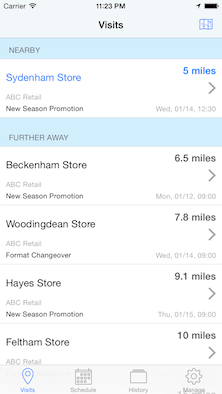 The app works offline and automatically synchronises when the network is next available allowing you to track activity when there is no network coverage. Integrating POP Check into your existing Campaign Management system is easy. We have a well documented API that will allow you to be up and running fast. Integration support is available if required. We have enhaced the custom reports you can create. 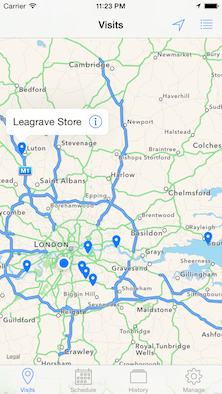 Now you can tailor the report you want including all of the data elements we capture such as the location of every photo taken as well as download all or a selection of survey responses. Widely supported Excel format. We've added the option to select photos from your phone's photo album as well as take photos using the camera. You can also view previously taken photos on the phone's screen at full size. What's more we've added support for the new iPhone models XS, XS Max and XR. Now you can include 'is not equal to' when you define conditional questions. Now you can show and allow your field team to edit any type of custom information about a site like the site manager's name or other bespoke details. Now you can capture signatures for handwritten sign-offs by the local site team or your field team. Simply sign on the smartphone to store the signature. 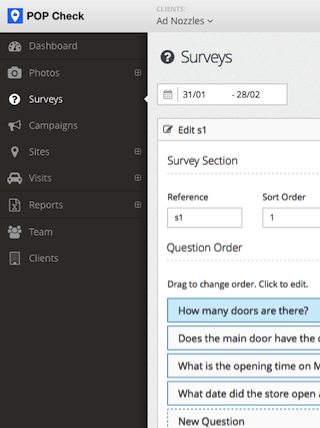 Conditional questions allow the head office team to create more flexible surveys. The survey questions can change depending on the answer to previous questions. Surveys and conditions are created quickly and easily using excel. We've added improved support for Android Marshmallow. This includes suporting Marshmallow's fine-grain control over user permissions. © 2014-2019 Agile Projects Ltd. All Rights Reserved.